Email the owner with your dates and total number in your party, for a fast and exact quote and how to book!! Total new updates inside and out completed in Nov 2016 with new photos and video done Dec 2016!!! What you see.....is what you get when you arrive....no surprises...every room and every detail is shown. 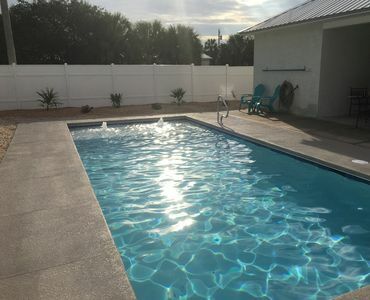 Updates included interior and exterior painting, refinishing cabinets/floors, new furniture, new luxury high end mattresses, new linens, new fabrics/decor, refreshing all porch furniture and the garden areas. 2. BEAUTIFUL, CLEAN, UPDATED, AND WELL MAINTAINED HOME that is very spacious with 2 living areas for children and adults to have their own space, and porches galore on a corner lot which feels open. 3. 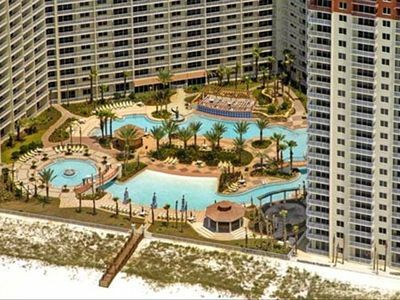 FREE AMENITIES: 6 adult bikes, wagon and commercial carrier to carry chairs/toys/beach items to the beach. 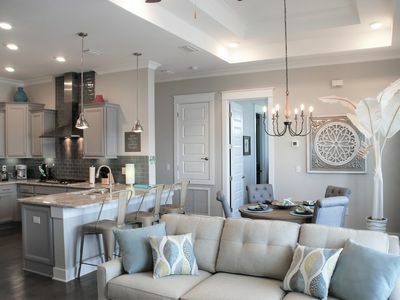 The Creole Plantation is a spacious, four bedroom home with five bathrooms that has 3000 square feet of living area. The Gulf breezes can be enjoyed on the first and second level porches which provide an extra 1248 square feet of outdoor living area. 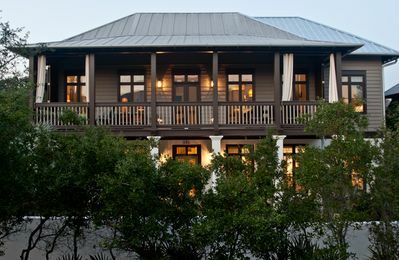 It is a Gulf side home in Rosemary Beach with limited Gulf views from the third floor. Cable fast internet, wireless in all of house and porches. 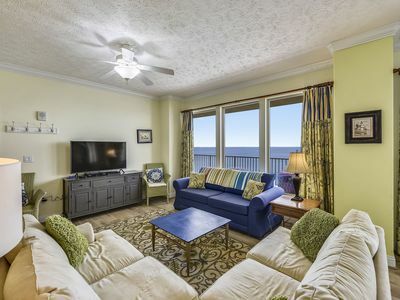 The first floor has two master suites with king beds and private bathrooms. 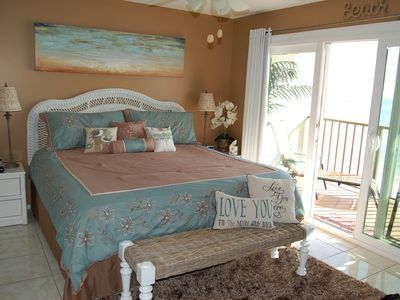 There is a third bedroom with a queen bed which has its own bathroom across the hallway. There is a foyer, hallway, laundry area, and interior stairwell to the second floor. 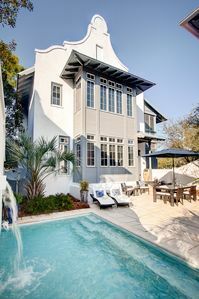 Outside, there are porches on the west and north sides, an exterior stairwell to the second floor, and a private outdoor shower with storage area for beach items. 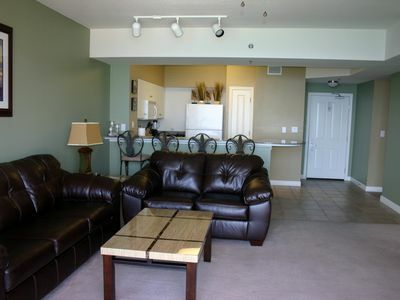 The second floor has an open living and dining area with an entertainment center which includes 50' flat screen TV. There are five French doors that open to porches on the west and north sides of the home. 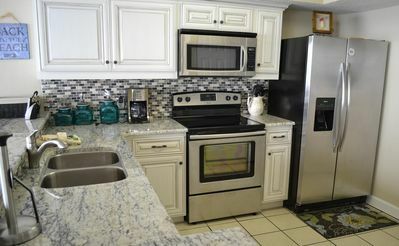 A gourmet kitchen opens to the living/dining area and has professional appliances. There is a private bedroom with a king bed that has a view of the south garden. There is a bathroom across the hallway from the bedroom. An interior stairwell allows access to first or third floors. There is an exterior stairwell to access the lower porch. 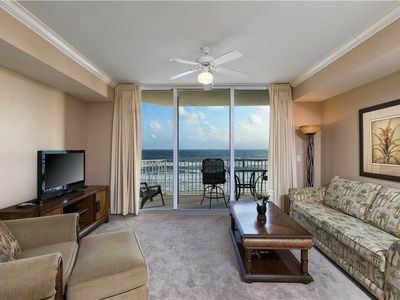 There is a limited gulf view from the third floor, which is an open living area which has a second entertainment center. There are two queen sleeper sofas, and several comfortable chairs. A private alcove has a twin bed with a twin trundle. 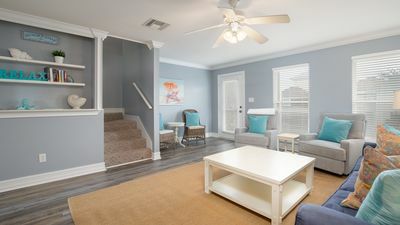 If you have an infant or toddler, you can rent a crib or bring your own pack and play as there are many options to allow your children to sleep.There is also a bathroom with a shower. The Plantation comes with 6 Free Adult Bikes which is a savings of up to $70 a week plus tax per bike per week. 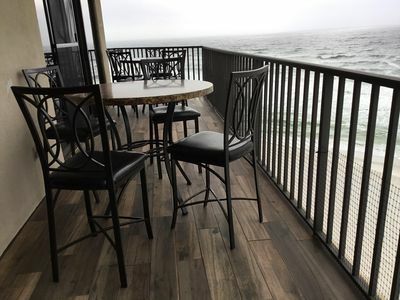 There are 6 low lying aluminum chairs and 2 umbrellas for your use if you wish to not rent chairs. However, the chairs sometimes come and go with guests and can't be guaranteed. 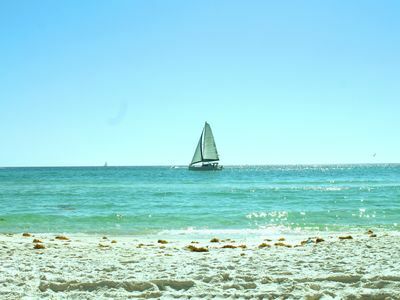 Beach Chairs can be rented from Rosemary Beach and will be set up and taken down daily for you as nothing can be left at the beach over night. So if the guest chooses to use their own items, they must take them to and from the beach daily. 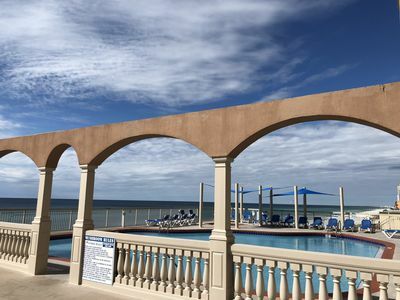 2/2~ Located near St. Andrews state park FREE Activities $126 Value~BOOK NOW! AUGUST DATES JUST OPENED DUE TO CANCELLATION!!! 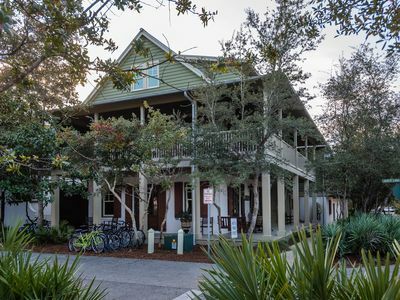 The Green Door Cottage,30A Cottages,Reduced Spring Rates, Private Pool/Hot Tub, Near Beach, 6 Bikes! Majestic Super Resort, always the best value for the guests, 2b/2b perfect! 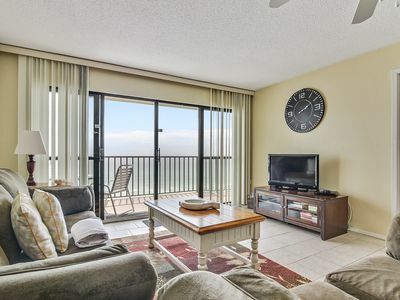 Comfortable Beachfront Condo! FREE Welcome Drinks. 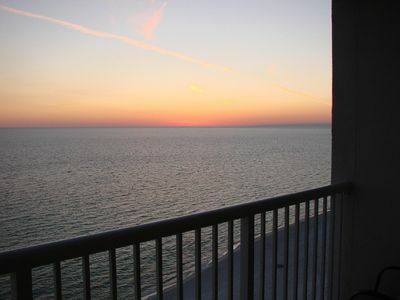 Gulf Crest 2 Br, Sleeps 8! Beautiful decor. 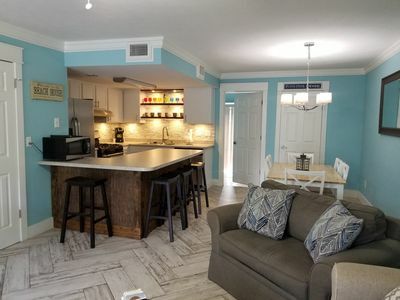 3 Night Deals!! Perfect for 2 or 10!